More than 30 years after publication, The Handmaid's Tale is back in circulation as an award-winning television series. A sequel is in the works, too. Long before it was imagined as an award-winning television series, The Handmaid's Tale was viewed as the breakthrough book to launch Margaret Atwood's career in the U.S. literary market. In February of 1986, Atwood had arrived in Manhattan to take up the position of visiting professor at New York University's English department. It was during the same week as the American release of her most recent book, The Handmaid's Tale, which she read from at New York University. As we hear in the clip above, she told CBC interviewer Russ Froese that the time for the book was right, and that "it's about a future that people here can imagine." During an interview with CBC Radio's Peter Gzowski after the 1985 release of the book in Canada, she was asked if she had at first had backed off from writing it. She responded that yes, she had, because "I thought it was too crazy," but after collecting news clippings, "I now have a large clipping file supporting most of the contentions in the book." She won the Governor General's Award for English Language Fiction for the book that year, and it was nominated for various awards, including the [Man] Booker in 1986. An opera adaptation premiered in Denmark in 2000, and it was performed by the Royal Winnipeg Ballet in 2013. The book was first adapted for film in 1990 by Harold Pinter. It starred Faye Dunaway, Robert Duvall, and Natasha Richardson in the title role. Asked in an interview on CBC's Midday in 1990 how she came to win the role, Richardson said that it had been brought to her, but that she had read the book years before. She recalled reading it during the intermission for a play she was performing in. "I could barely drag myself back on stage I found the book so compelling," Richardson told Midday. 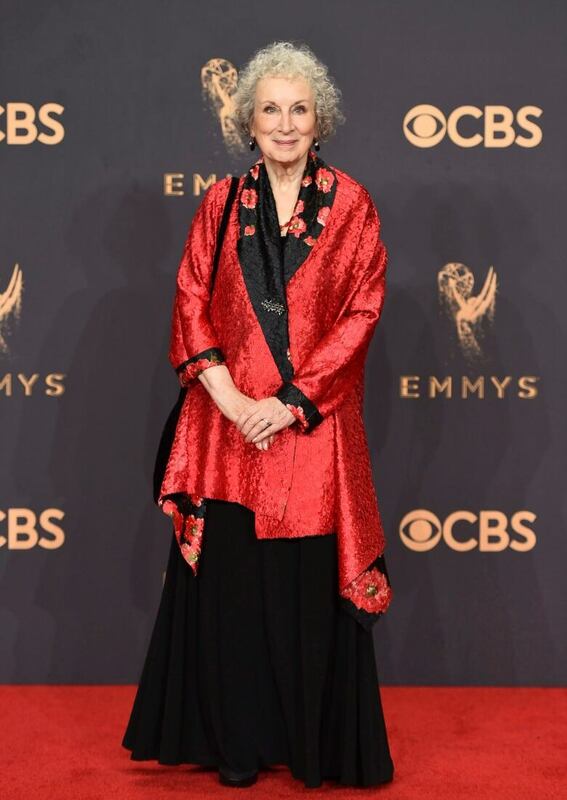 Fast forward to the future, and more than 30 years after it was published, The Handmaid's Tale was the talk of the entertainment industry, placing Margaret Atwood on the international stage, as a consulting producer and in a cameo role in a 10-part series that aired on television. The star-studded series premiered in April 2017, winning multiple awards, including Primetime Emmys and Golden Globes. A second season followed and a third season is in production. In November 2018, Atwood announced that she is writing a sequel to The Handmaid's Tale, called The Testaments. It is expected to be published in September 2019.